So far Dave. has created 283 blog entries. Before the start the wind was varying between 340° & 010°M, 2 – 5 kts. 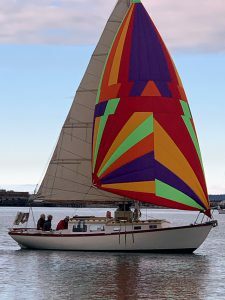 By the start the wind had steadied on 330° and built to 6 – 7 kts with the occasional gust to 9. It was sunny and warm, a beautiful day for a race. Unfortunately, as the fleet was approaching McCurdy Point, the wind died to the point that they were unable to progress against the building flood. Nobody finished. ALERT! 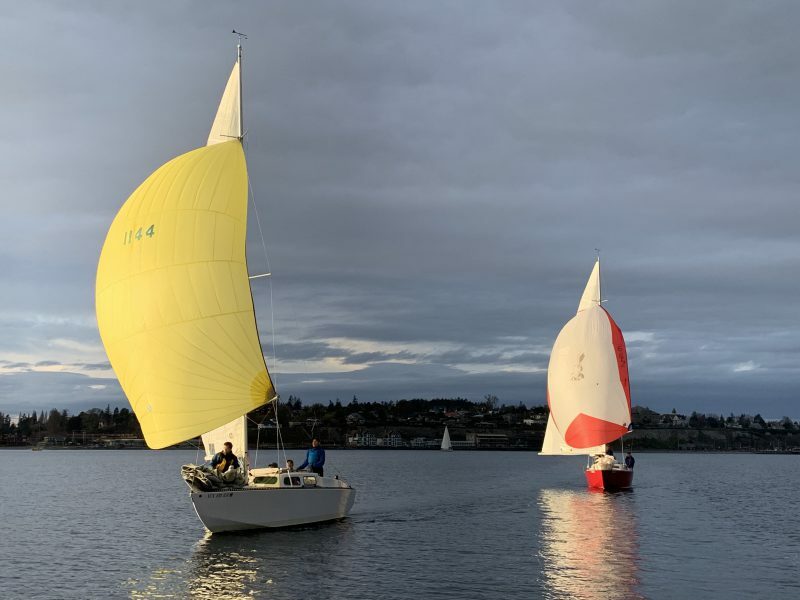 McCURDY POINT RACE ALERT! SCHEDULE – Saturday April 20st. The Warning Signal will be at 12:00 hrs. from City Dock. 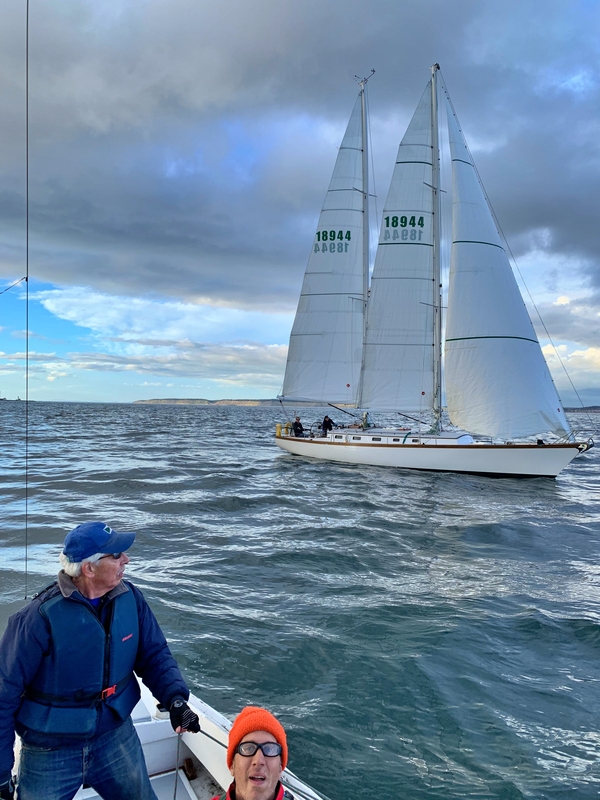 RULES – As in 2019 Sailing Instructions for PTSA Races except as amended herein. COURSE – Cross Start line at City Dock towards NE. Round the McCurdy Point Buoy (Red, #4) to Port. Cross the Finish line at City Dock towards SW. The Red Pt. Hudson Bell Buoy #2 is to be left to shore-ward as usual. The Red #6 buoy North of Pt Wilson is to be left to Starboard when Westbound and to Port on return. Course distance is 11.4 nm. SHORTENED COURSE – There is no provision for shortening course. However, if conditions make it advisable to round Red Buoy #6 and return, participants should reach agreement on VHF Ch. 68 before the first boat reaches that point. Notify the RC of the course change when reporting finish time. FINISH TIMES – The finish will be unmanned. 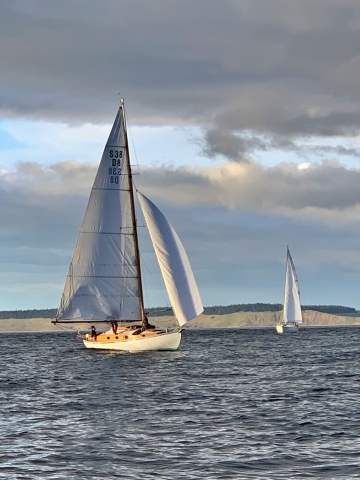 Each boat will record their finish time, preferably to the second (use GPS or cell phone time) and note the names of the nearest boats ahead of, and astern of them (if visible). This information is to be e-mailed within 48 hrs to racecommittee@ptsail.org. or DNF will be assumed. 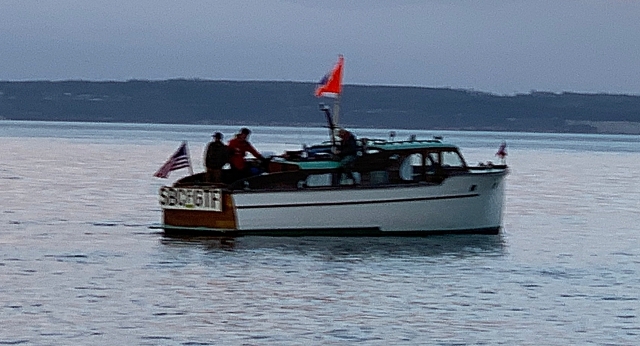 REQUESTS BY USCG – (extra requirements for the race permit). — All vessels must be aware of COLREGS Rule 10 (Traffic Separation Schemes) and must comply with such regardless of their competitive position at the time. — All vessels should monitor VHF Ch. 05A. This was yet another drifter, but much better attended than last week. The wind was steadily from 350°M which made C & G the only usable W/L permanent marks. The CB set the S/F line between them near the middle of the bay where the wind was strongest, at 2 – 3 kts., occasionally 4+. 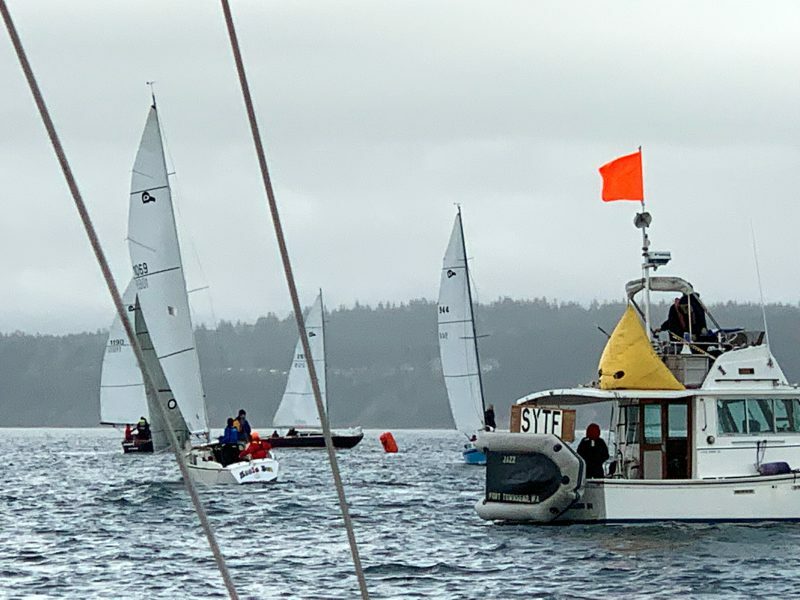 Course SCFGF was posted which allowed for shortening course on the downwind leg. The wind became increasingly light and fluky as the fleet approached C and then, except for the odd cat’s paw, died. There was still a little wind at the CB, enough to fill the Chutes of those who managed to reach it. 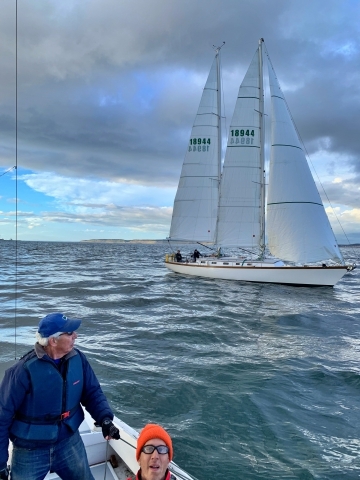 The course was shortened, to 1.44 nm., at the CB but only four boats managed to cross the line within the time limit (the fourth was exactly, to the second, 20 mins. behind the first). The rest were not even close or had given up trying.